24 Dec Christmas in the House We Love! Christmas is a special time at our house. We really enjoy dressing up the place in a traditional style. 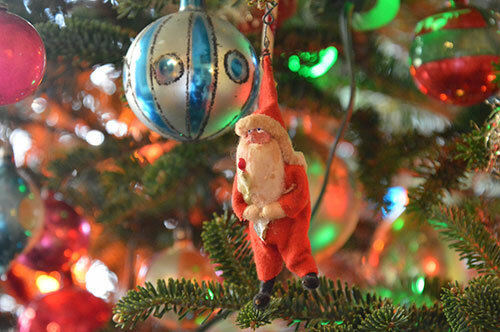 Every year we try something different, including new (old) ornaments. Jill can’t stop collecting antique ornaments we find at flea markets and garage sales.